Hello friends! Hope you’re having a lovely start of spring. 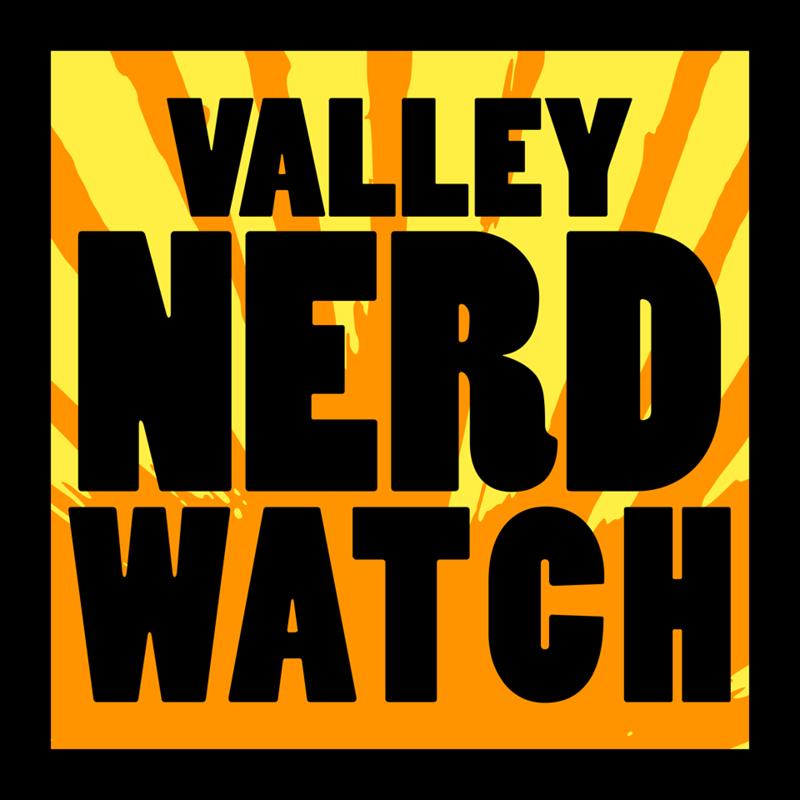 Remember to come out to Nerd Nite NoHo next Monday! It’s going to be a very nice time where two excellent people will present about two excellent topics. We’ll have nature guide Kery Emma Ellis discussing the scourge of “Greenwashing” by people attempting to pretend their products and services are “good for nature” despite being “basically just lying and using green and teal on the packaging a lot”! That’s going to be followed up with Greg Dennis, Research Director for Voter Choice Massachusetts, talking about ranked choice voting! Anna M. Warrock and Cindy Snow will present readings from their new works! Anna M. Warrock has had a poem installed permanently in the Boston subway which means she’s going to probably eventually inspire some kind of post-apocalyptic cult eventually. Cindy Snow has been featured in a bunch of poetry reviews and she does peer tutoring at Greenfield Community College. Both of them have chapbooks out for your reading pleasure! Converse with artist Kota Ezawa as he discusses his installation! It’s currently on display and by chatting with the artist you’ll gain a deeper understanding of the art presented! The theme this year is friendship! Donate $25 to the library and bring a poem about friendship to share! Listen to your friends talk about friends! Drop into the museum for an open mic, poetry reading, and one-night art exchange in the museum! Open mic begins at 6pm and the featured readers follow: Jenna Baillargeon is a second year at Hampshire, and is the featured Open Mic reader, and students of The Literacy Project will be reading original memoirs and poems afterward, accompanied by Judith Willams on the keyboard. Zines! Zines for miles! Join zine creators and fans from around New England! It’s a great chance to see amazing artwork and give the people who produce it a few bucks! Zines are keen! Games! Beautiful board games! Have a great time playing games and enjoying a friendly community! Have a drink at a nice bar and hang out with people who are nice also. This wee, Forbidden Island and Innovation are the featured games! See http://www.the131.com/forum for details! This tournament will test your ability to command the forces of weird grossness in the game Malifaux, which is distinct from other tabletop games in a manner we are not qualified to comment upon. Mostly we notice that there are a lot of Frankenstein monster looking things. Game! At a table! With tops! Play with tops, is what we’re saying. Play with the bet game of all: tabletops. The game of kings! Beyblade we just realized our joke game is also Beyblade. But for actual this meetup usually goes for Euro-games like Settlers/Carcassone etc, but they’re open to whatever you’re interested in! How do you stay true to the folks you care about while trying to change the world? That’s what botany major Jeremy has to struggle with when he gets wrapped up with a group of eco-terrorists trying to save the plants he loves, and is inextricably bound to. The Odyssey Bookshop is hosting a big ol’ sci-fi hootenanny! John Scalzi will talk about his latest book, and he’ll be joined by fellow wonderful authors Scott Lynch and Elizabeth Bear! The book’s about a far future where humanity finds a sort of hyperspace river that allows FTL travel, but then finds that it’s slowly moving around and soon the quick travel that maintains an interstellar empire will no longer be where it needs to be! It sounds neat! Three excellent YA authors on a panel talking about their three recent books that are all about tragic circumstances and young women dealing with difficult issues. Lindy West will speak and read from her memoir! Hilarious tales of how to handle just generally the unfortunate bits of being alive. Lindy West is a prolific writer and generally regarded as “wicked good at writing and also wicked funny”. Pioneer Valley Project invites you to join them in the fight to end mass incarceration in Massachusetts! If you’re into the idea of repealing mandatory minimum sentences for non-violent drug offenses, changing some felony thresholds, increasing funding for re-entry programs and education during incarceration then you should help them fight for these reforms! A regular meetup of coders and web developers that heads to the Foundry and hangs out and just generally chats and has a good time. You can join them to have a nice time as well! A staged read by the Holyoke Community College theater department of the play Getting Out, a play by the Pulitzer-winning author of ‘Night Mother. The play is the story of Arlene, a woman struggling to survive on the outside after being incarcerated for eight years in a Kentucky Prison. Have you ever wanted to make a tiny world that’s entirely comprised of people frozen in time save for the trains? Are the trains the masters of this world, or do they merely exist in some other state of being? Well two railroad enthusiasts, George Reneris and Harry Ruddock, will help answer questions about how you can put together a sweet model railroad! Figure out how to get your stuff to stop being a gigantic terrible pile of nonsense that you don’t need or want! Dave Downs will offer some upbeat tips for getting all your various junk into a place where it can no loner bother you! Dr. Gilbery Welch, author of “Less Medicine, More Health: 7 Assumptions that Drive Too Much Medical Care” will present in a free public forum! He’s a general internist with an interest in the issues created by overzealous efforts to detect early disease, mostly over-screening for cancer. It’s worth taking a look, maybe you’ll be less inclined to freak out over your own health! Community Building as Resistance: The Northampton Association at 175 years. Commemorate the 175th anniversary of the founding of the Northampton Association of Education and Industry! First you’ll get a walking tour of the Northampton Association Lands, and then you’ll see two lectures and a panel, about Abolition and Community in Northampton in the 1840s and construction of the progressive industrial village of Florence. And finally, a panel about the meaning of the Northampton Association Experiment! This is a huge day! There’s a bunch to learn about ancient Rome! Inspired by the exhibition of the Villas of Oplontis near Pompeii that’s currently ongoing at the museum, there are a ton of things going on! Make your own fresco! Tour with a docent! Watch seventh-graders perform skits about ancient Rome! Stroll through a recreated Roman Garden! A free bilingual Spanish/English story hour with Laurie Davidson of Mucho Gusto Spanish! It’s for children ages 0-5 and their caregivers! Students ages 9-12 are invited to try instruments and see demos performed by students from the UMass School of Education. Thinking about learning to play? Give it a shot today! Finding Babel chronicles a grandson’s search for the legacy of the greatest prose writer of the Russian Jewish community, and whose subversive work led t his tragic end. Isaac Babel is best known for his short story collections Odessa Stories and Red Cavalry, he challenged the ideology of the early Soviet Union and that challenging writing resulted in his execution in 1940 by the Soviet Regime. This movie tracks his grandson’s journeys through Ukraine, France, and Russian to confront the relevance of his ancestor’s work. Pizza and a movie: the ultimate chance to have pizza and also watch a movie. Teens, don’t let this slip by! This is your chance to have pizza and watch a film! It’s a hoot to do so with pals!